If you wanted proof that the Cabinet portfolio of Women in the Presidency is not taken seriously, look no further than the deployment of Bathabile Dlamini to that role. Dlamini’s disastrous tenure at Social Development should have spelled the end of her ministerial duties, and her personal freedom. Instead, her appointment as Women’s Minister confirms two things: that the portfolio is viewed as essentially meaningless, and that the ANC Women’s League – of which Dlamini remains president – is still viewed as a bloc necessary to appease. By REBECCA DAVIS. As Social Development Minister, Bathabile Dlamini has been an unmitigated disaster: endangering the very lives of millions of South Africa’s social grant recipients through her dogged pursuit of an unlawful contract with grants suppliers CPS, and then demonstrating an arrogant disregard for the attempts of Parliament to hold her to account. Under her watch, talented and committed Social Development officials have fled. The decision to replace Dlamini as Social Development Minister in the first available Cabinet reshuffle was a no-brainer. But it seemed equally unquestionable that Dlamini had to go altogether. This would seem doubly the case given how vocally Dlamini campaigned against Ramaphosa becoming ANC president, even spreading rumours that he was a wife-beater in her attempt to see his rival, Nkosazana Dlamini Zuma, elected in his place. Yet come Ramaphosa’s first Cabinet reshuffle, the minister who should have been one of the easiest to boot out has been rewarded with another ministerial portfolio. The only way to make sense of this decision on Ramaphosa’s part is to view it in the context of two factors: the ANC Women’s League, and the meaninglessness of the portfolio to which Dlamini has been deployed. The confirmation that David Mabuza will be Deputy President of South Africa will have been another blow for the ANC Women’s League, who were hoping to see a woman take that spot after their candidate’s failure to win the big prize at Nasrec. The gender composition of the new Cabinet at large also falls short of the ANC’s stated commitment to 50-50 male-female parity at all levels of leadership, with 45% of ministers and deputy ministers now women. The allocation of another post to Dlamini can only be read as a sop to the ANC Women’s League, the body which she continues to lead in shambolic fashion. But if, as President Ramaphosa, you have come to the conclusion that Dlamini has to be given another portfolio in order to appease the Women’s League, where do you put her? After her stint at Social Development, it would have to be somewhere where there is literally no tangible damage that she can oversee. Somewhere with a relatively tiny budget and minimal power or responsibility. The answer? The Minister for Women in the Presidency. Indeed, Ramaphosa’s decision to move Dlamini to this portfolio arguably casts more light on the contempt in which it is held than any previous indication given by government. 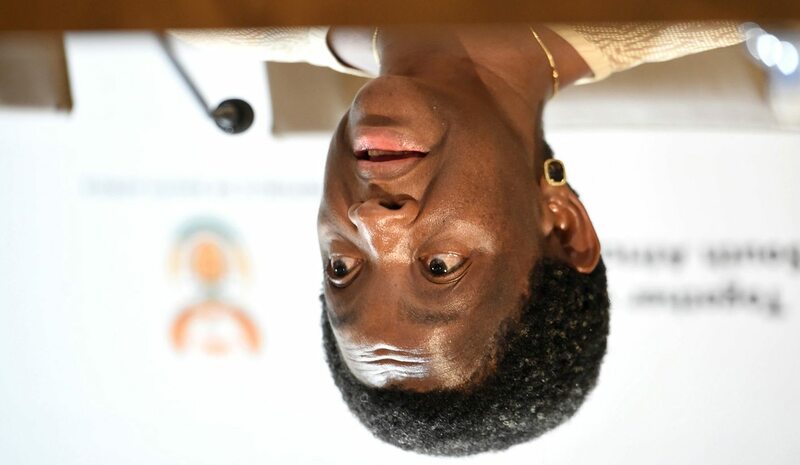 Under Dlamini’s predecessor, Susan Shabangu, it is difficult to recall one single action or even statement of significance emanating from this portfolio – which, tellingly, languishes in a kind of half-life under the umbrella of the Presidency. Under Dlamini, the best we can hope for is more of the same inertia. As president of the ANC Women’s League, Dlamini has revealed herself to be an utterly inept champion of women. The league’s hypocrisy was exposed by its refusal to back any women for the ANC’s top position except their chosen candidate of Nkosazana Dlamini Zuma – going so far as to actively obstruct the campaigning efforts of other contenders such as Lindiwe Sisulu. Under Dlamini, the league has been silent at critical moments: not a peep, for instance, when deputy minister Mduduzi Manana was convicted of assaulting a woman. It has reserved its public statements for increasingly bizarre proclamations about white monopoly capital, insults directed at opposition politicians and staunch defences of the wildly compromised public protector. It would be nonsensical to claim, therefore, that Dlamini is well suited to the position of Women’s Minister because she has a proud track record of vocally defending women’s rights. She does not. Fortunately, however, the position of Women’s Minister does not seem to require even that lowest of the law bar. In announcing his Cabinet on Monday night, Ramaphosa – like his predecessor – gave no reasons for his appointments and entertained no questions from journalists. It may be that the deployment of Dlamini is an example of an interim move, and that the portfolio of Women in the Presidency is one of the departments destined for the scrap heap in a few months’ time.